There are more than 700 million iPhones currently in use worldwide, according to BMO Capital Markets analyst Tim Long. 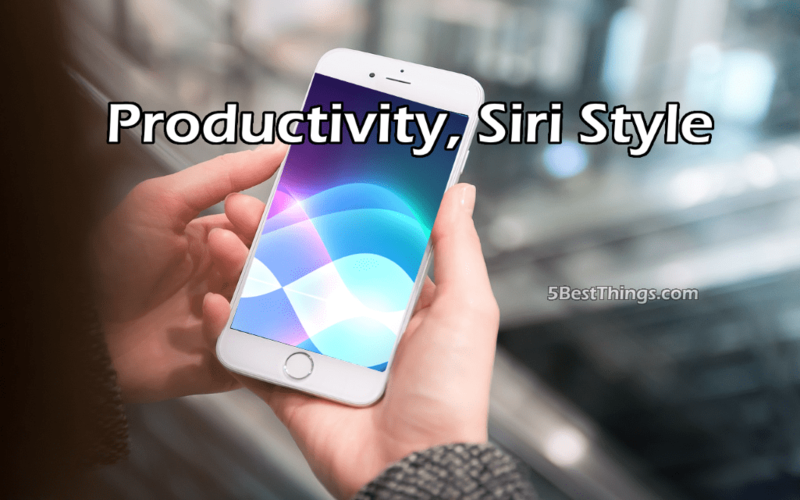 iPhones popular virtual assistant Siri boasts 41.4 million active users in the U.S. alone, according to a report from Verto Analytics. That number seems like a lot at face value, but in the context of the total iPhone users, it is a mere 5 percent ofhttps://techcrunch.com/2017/07/11/siri-usage-and-engagement-dropped-since-last-year-as-alexa-and-cortana-grew/ the total number of iPhone users. While that number indicates Siri has started to attract the early adopters, the majorities of people are not taking full advantage of her services. Asking “Hey Siri, what’s my day look like?” will give you a recap of your schedule for the day. Don’t risk forgetting an important meeting. Start your day with a daily rundown of your appointments. Add meetings on the go, simply ask Siri to book you an appointment and tell her the details. Don’t let pesky phone calls, texts and alerts interrupt your focus. “Hey Siri, turn on do not disturb,” will allow you to get through the task at hand without interruption. Need to block an hour, simply ask Siri to block your calendar for an hour this afternoon and she’ll do the rest. Days filled with meetings can keep you disconnected from incoming email or messages. Stay in touch on the go, whether you’re walking or driving to your next appointment, a quick “Hey Siri, read me my new email,” will give you a quick audio update. If you’re expecting a text, simply ask Siri if you have any new messages and she will let you know … she can even read your new messages if hands-free is your style. Some of the best ideas may come to you when a keyboard or pen and paper are not available. “Hey Siri, send me a note …“ along with your inspired idea and she will capture your thoughts and deliver them to your inbox. If your thought was less detailed, leverage reminders instead. “Hey Siri, remind me to look into that new software,” and you won’t forget. Whether you’re looking for energy or a playlist to unwind, Siri can help. A quick request, “Hey Siri, play energizing music” and you’ll be sprinting through your day. If you’re looking for a specific genre or song she can help with that too. “Hey, Siri play country music,” will have you humming along with the guitar in no time. Leveraging Siri will help you do more and forget less with the time you have. And according to the release notes of iOS 11, you can for the first time interact with Siri without making a sound by typing the same questions to her. Regardless of how you engage your personal assistant, let Siri help you do more with the time you have.